There are the best countries for traveling and there are the worst ones as well. Of course, you would always fall in love with your destination. However, these countries prove otherwise. As a disclaimer, this article does not have the intention to discredit the countries mentioned below but rather as a way to provide travelers with unbiased information. Illegal guns, drugs, human trafficking, a high level of crime, pirates, and poverty are things that most countries in the world would do anything to get rid of. However, the reason why Somalia is put into the top of the list is that it has all of those things mentioned earlier! Although a beautiful sea is a thing that most people would imagine when visiting a country in the continent of Africa, we warn you since such a thing is nowhere to be found in this country. Instead of sunbathing on a beach, you would encounter smugglers and pirates instead. Instead of shopping around the downtown, you would be stunned by the sight of the slum area in Bosaso. The crime rate is also depressing since it is virtually very high all around the country. If the worst country in Africa to visit is Somalia, then, we will now head to Asia to figure out the next country that you should avoid. The next of the list of the worst countries for traveling is Bangladesh and it has several reasons why. Well, we all know that the people who live here are friendly and nice, but the true problems are caused by the country itself since it has poor city management. It is evident due to its overcrowded daily traffic and awful overall road conditions. Commuting here is a bad idea since you can get stuck in the traffic for many hours! Also, corruption has made it into a pretty bad country and having a decent travel experience here is a privilege that is almost impossible to grasp. The next country we are talking about here is also located in Asia. Although it has many beautiful landmarks, attractions, and scenes, the Graveyard of Empires is not exactly the destination you would want to go when having a vacation. The reasons why Afghanistan is the country to avoid are its political climate and its economic situation. Afghanistan suffered from numerous regional conflicts and multinational wars over the course of its history (with the US as its latest aggressor) and it has a tough time to rebuild what is left. Unfortunately, although the war had officially ended in 2014 with the withdrawal of the US forces at that year, it is still haunted in chaos since there are numerous of gunfights which happen here almost every day. This might be not too surprising since the country has been known to have a huge population of cartels and street criminals. 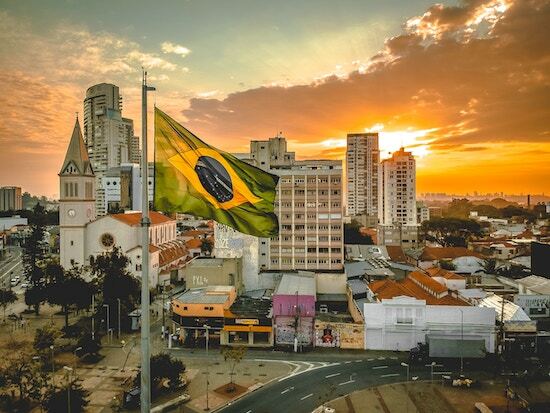 Although it could be enticing to visit Brazil due to its wonderful weather, outstanding beaches, and the exquisite tropical landmarks, you should visit other countries instead if you wish not to get robbed when you are on the street. Well, let us hope that their new president would do better. Those are the countries for traveling that you should avoid.